The Raiders dreams of a new, taxpayer-funded home in Las Vegas may be on the ropes. A report from ESPN suggests the cost of the Raiders’ relocation plans to Las Vegas have been ratcheted up by approximately 50 percent since they were initially figured. The move, which was once projected to cost $1.4 billion, is now estimated to cost $2.1 billion. The rise in cost is mostly due to two things: a new stadium proposal that includes a retractable dome, and the increased price of land acquisitions. 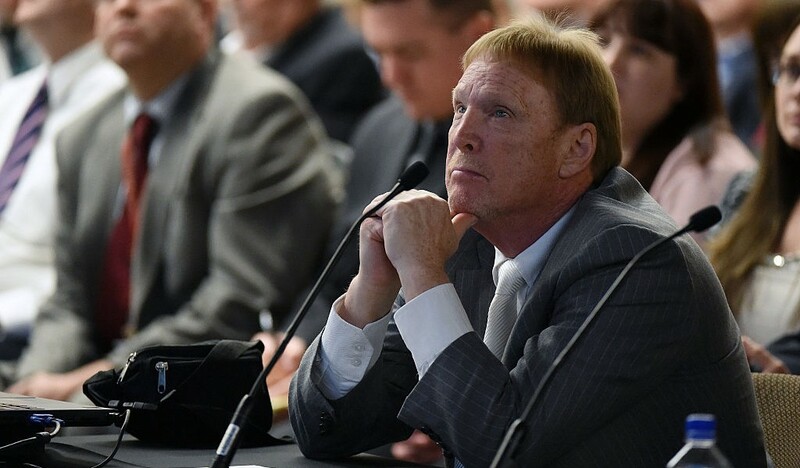 The Southern Nevada Tourism Infrastructure Committee held a special meeting on Monday to revisit the Raiders’ stadium proposals. In addition to producing this increased figure, the committee also discussed nine different sites where the new stadium could be located. The committee was initially scheduled to finish the proposal recommendation process by the end of July. However, members asked Nevada Governor Brian Sandoval, who commissioned the committee, for a two-month extension to further evaluate the options. The Raiders are seeking a $750 million contribution from the city of Las Vegas in their relocation efforts. However, Sandoval and other government officials are hoping to bring that total down to the $550 million range. Given the massive rise in cost, it only seems more likely the two sides will be unable to reach a compromise.